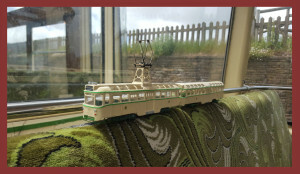 SO WHO IS EAST LANCS MODEL TRAMWAY SUPPLIES? 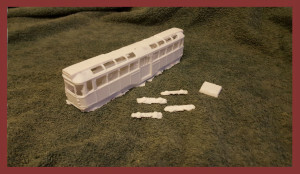 East Lancs Model Tramway Supplies is run by John Whitehouse, a modeller of some 25 years and still learning. 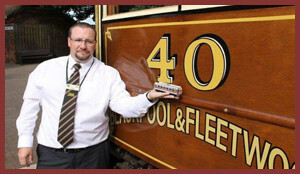 John was Commercial Manager for Heaton Park Tramway for a number of years, as well as Operations Manager and events Manager. The fledgling Volunteer operation of Blackpool Heritage Tram Tours prompted a move west and John is now a Volunteer Guard and Driver there. During the day John works for a well known builder’s Merchant with a blue logo. ELMTS could not have managed ten years or indeed function without the help, advice and assistance of a great many people over the years. The main guilty culprits being: Marjorie Whitehouse, Alan Kirkman, Derek Lambelle, Bob & Joan Hill, Jeremy & Janet Valentine, Mike Jaimes, James Millington, Vernon Linden, Brian Robinson of Bec Kits, len Squance, Blackpool Transport (and Blackpool Heritage Tram Tours) & Bryan Lindop (for their kind assistance and support with Blackpool projects). 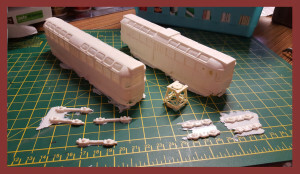 And of course all those modellers who have not only purchased but prompted and bullied us into doing things! And many, many more. And an extra special mention to Jim Halsall of Blackburn without whose encouragement John would never have continued modelling – and for being the very first customer of ELMTS! OO/HO Scale Street Furniture etc.